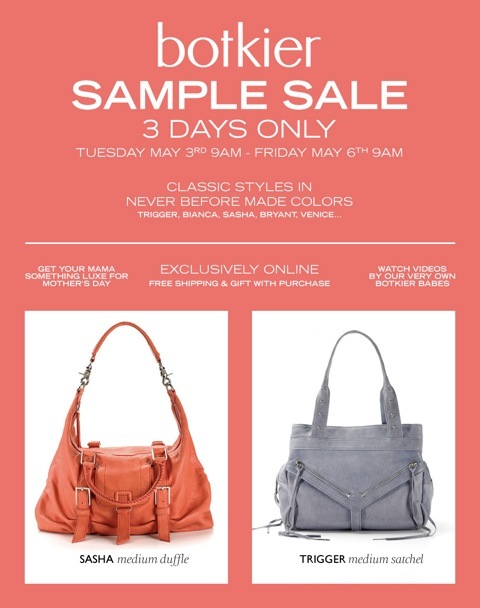 Don't miss the botkier sample sale coming up May 3rd - 6th! Up to 70% off! You'll also receive a Botkier snakeskin keychain as a gift with purchase!